This is a beautiful and charming dress that has been transformed from a respectable 1840s dress to an over the top 1880s gown. 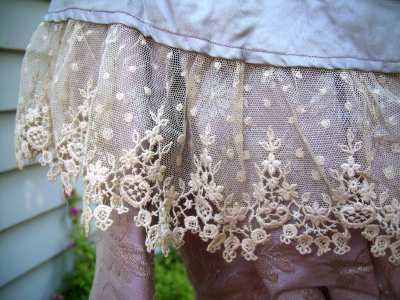 We are posting lots of photos. As happened to so many dresses as styles changed or as younger girls grew up gowns needed to be altered. 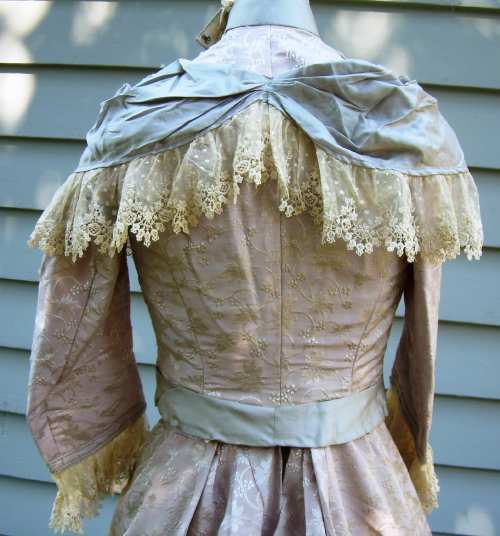 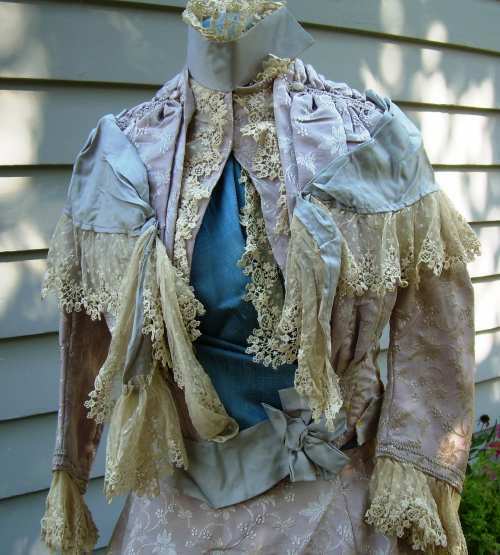 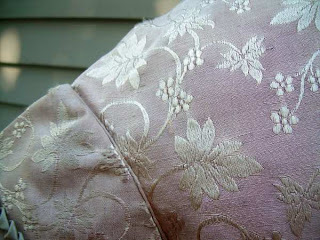 This dress is made of pale lavender silk brocade with gray blue silk trim. 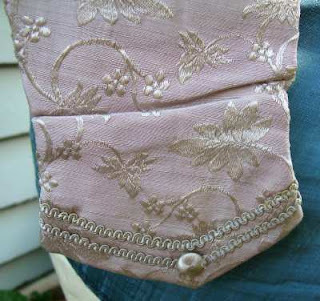 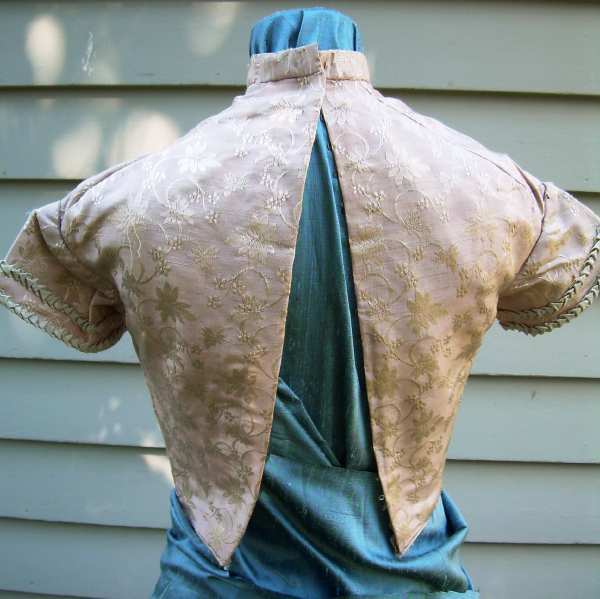 One is a simple style of the 1840s with both long and short sleeves. The long sleeves are detached ready to be tacked on if needed. 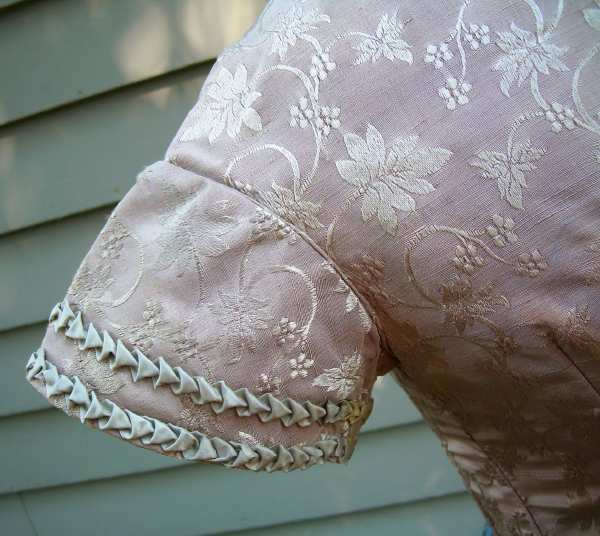 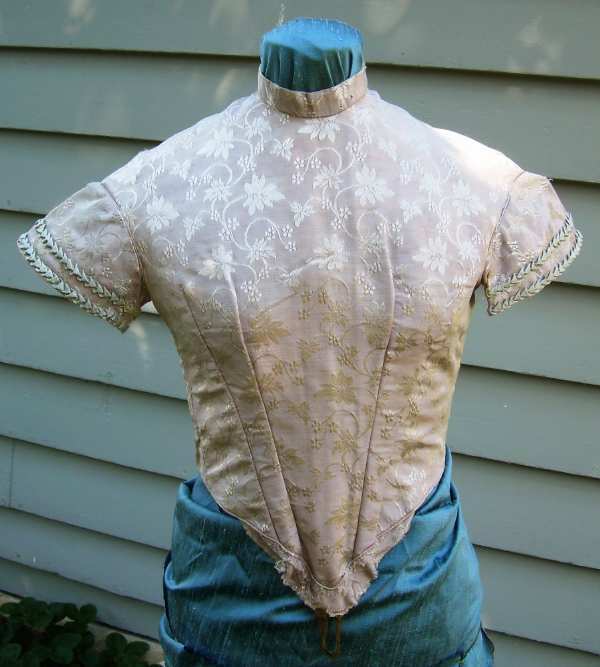 The other bodice is a remake of an earlier one also of the 1840s. 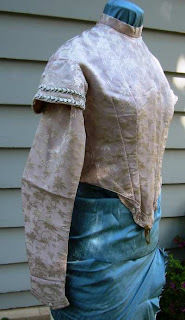 It has new sleeves and much added silk and lace trim to make it perfect for its new life in the 80s. 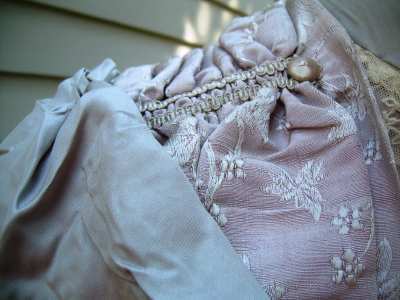 The skirt has been reworked to handle a bustle of the 80s with an added gray/blue silk pleated ruffle at the hem. It only it could tell us its story! 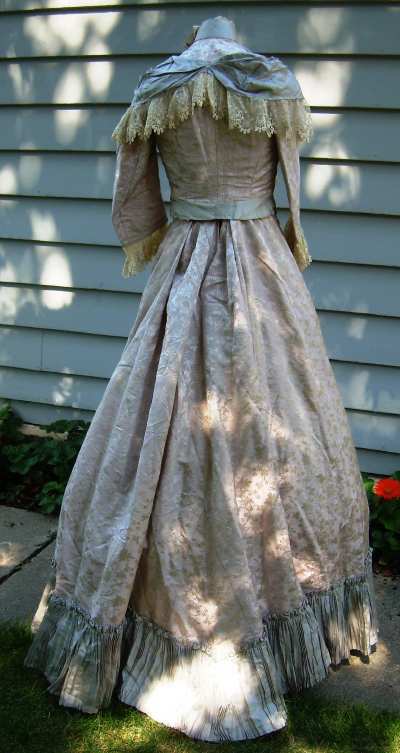 All parts of this dress are in excellent condition. So, although the older bodice is early 1840's, the later one is not 1880's - it's early 1900's. The skirt looks like it was reworked for the s-bend corset, not a bustle. The way the lace, the trim, and the neck are done on the "newer" Turn of the Century style. Haha, I totally did a double-take! 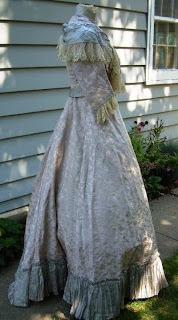 The first pic was so clearly 1840s, and then the foofiness appear and I was all BWAH?